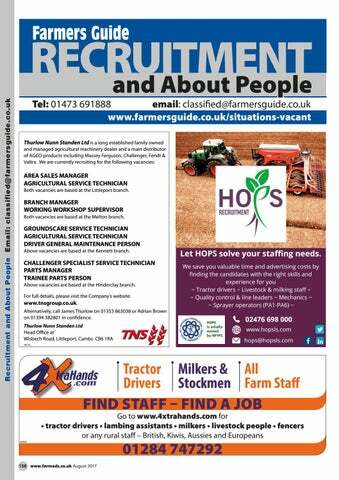 Both vacancies are based at the Littleport branch. Both vacancies are based at the Melton branch. 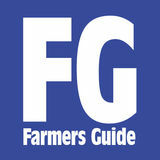 GROUNDSCARE SERVICE TECHNICIAN AGRICULTURAL SERVICE TECHNICIAN DRIVER GENERAL MAINTENANCE PERSON Above vacancies are based at the Kennett branch. CHALLENGER SPECIALIST SERVICE TECHNICIAN PARTS MANAGER TRAINEE PARTS PERSON Above vacancies are based at the Hinderclay branch. For full details, please visit the Company’s website: www.tnsgroup.co.uk. Alternatively, call James Thurlow on 01353 863038 or Adrian Brown on 01394 382801 in confidence.